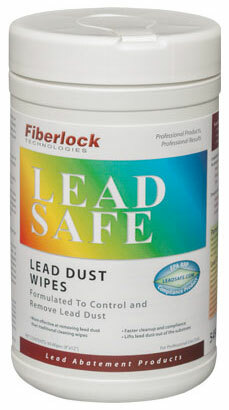 We sell a variety of lead cleaning wipes, including Fiberlock Lead Safe, Sentinel 290 Lead Dust Remover, and Sentinel 805 Envirowash. These lead wipes are used after the majority of the lead is removed with a lead paint stripper. These wipes will safely remove the major dust particles, readying the surface to be coated with a post removal lockdown sealant. These three steps will ensure a safe, habitable environment free of lead particles. Not sure which lead wipes are right for you? Check out our products below. If lead-paint dust is a problem, it should be cleaned up using Lead Safe wipes. These convenient, pre-soaked wipes aid in the cleanup of deteriorated surfaces, as well as clean up any dust that can be found on surfaces that are to be coated. To prepare surfaces for finish coating, wipe dust, dirt, grease and other surface contaminants away with Lead Safe wipes. Lead Safe wipes are conveniently packaged towelettes presoaked in a tri-sodium phosphate (TSP) solution to aid in surface preparation and cleaning. To prepare surfaces for finish coating, wipe dust, dirt, grease and other surface contaminants away with Lead Safe wipes. Lead Safe wipes are conveniently packaged towelettes presoaked in a tri-sodium phosphate (TSP) solution to aid in surface preparation and cleaning. They are sold as each canister. 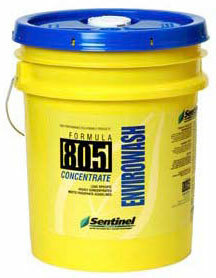 Represents the latest technology in cleaning and removing lead dust. Towels are designed for pre-cleaning prior to removal or encasement of lead and for final clean-up following lead abatement. Each towel is ready-to-use and presoaked with a solution of Sentinel 805 Envirowash, a lead specific material that meets HUD Guidelines and Maryland Procedures. 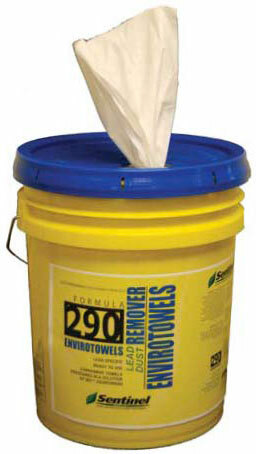 Each 290 pail contains 270 presoaked towels which are protected from contamination. It has been designed to meet both HUD Guidelines and Phosphate rules for Maryland and New York. It can be used for lead and mercury dusts clean-up and for final surface preparation of sub-floors following mastic removal on asbestos abatement jobs. Five (5) gallon pail.